Sako Dermenjian performs Tango En Skai – to show the fragmentation of his family and their lives together at having to leave Syria. Upon reflection of this experience – and then the challenge of making a new home in Australia – Sako says his “life is now like Capricho Arabe” – which he also performs – mindful, meditative, contemplative. Sako Dermenjian is a classical guitarist. He is Armenian, but lived in Syria, which his family left because of the civil war. They arrived in Wollongong, Australia in November 2014. 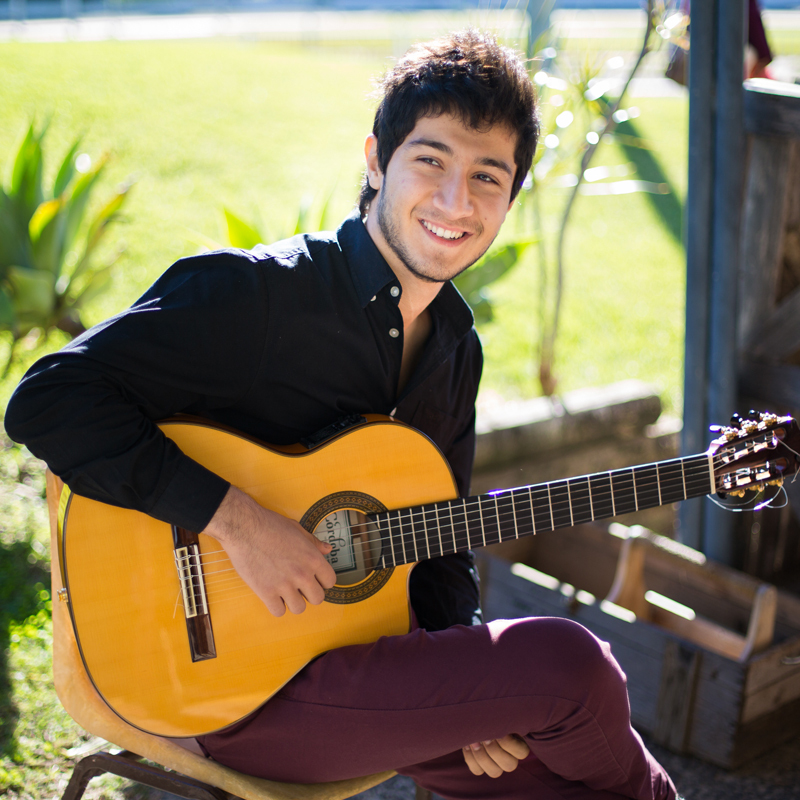 Sako has gradually gained acclaim for his talent playing guitar, and he is now heavily booked as a performer.